Direct selling is the marketing of consumer goods and services directly to consumers on a person-to-person basis, generally in their homes or the homes of others, at their workplace and other places away from permanent retail locations.  Direct selling typically occurs through explanation or demonstration by direct sellers and is a form of non-store retailing. Direct selling is a channel of distribution, a way of marketing products and services. Multilevel marketing or network marketing refers to a way of organising a direct selling business. A company using multilevel marketing remunerates its direct sellers, or distributors, on the basis of both their personal sales and also the sales achieved by those others that they have recruited, trained, helped and motivated. What is the difference between direct selling and direct marketing? Direct selling always implies a face-to-face contact between the seller and the customer, either on a person-to-person manner or in a home party. In direct marketing, such as catalogue sales or e-commerce, the seller and the consumer never meet each other. What is the difference between MLM (Multi Level Marketing) and pyramid selling? MLM, or network marketing, is a way of organizing a Direct Selling business. In a MLM business earnings are derived solely from sales to consumers – from an individual\’s personal retail sales and the retail sales of those he or she may have recruited. They encourage participants to make substantial investments in stocks of goods, by offering rewards to participants for getting others to do the same. They make little reference to Direct Selling and the need to achieve consumer sales. Instead, they imply that the main source of rewards comes from getting others to make substantial initial investments. They do not offer contracts to participants, cancellation rights nor the opportunity to buy back unsold goods – all of which are required under Association Code. Direct Selling owes its continuing success to the thousands of people of all ages who either want to be independent or to have a business of their own. It is particularly suited to women with family commitments as they can start a business on a part time basis with minimal start-up capital. I would like to start a direct selling activity; what should I check first? Make sure that the company gives you a written contract which you have read and understood. The company’s membership in your local direct selling association is a sign of legal compliance. In case of any doubt, contact the local DSA. Avoid any proposal requiring a substantial financial investment. The initial investment required by the majority of direct selling companies investment is rarely more than 200 Euros – for a business kit and some product samples. What level of income can I expect? The great attraction of Direct Selling is that it offers a flexible earnings opportunity where you are in control of the income you generate. Whilst many people work their Direct Sales businesses part-time, others put in full time hours and generate a substantial income. Some companies offer the opportunity to earn from selling the product and others also offer team development programes where you can generate further income from developing a team of other Direct Sellers. What is a Code Administrator? The Code Administrator is an independent person or body appointed by a Direct Selling Association (DSA) to monitor member companies’ observance of the DSA’s Code of Conduct and to resolve complaints. How can I look at a list of direct selling companies around the world? The WFDSA directory is available online in a searchable format. 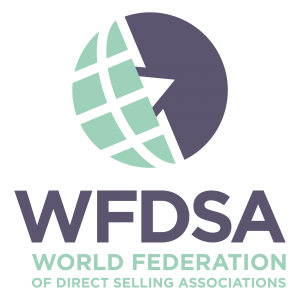 The WFDSA directory includes contact information of DSAs around the world, DSA-member companies, WFDSA committee members and Code Administrators.